There’s a lot of firsts that we have shipped when it comes to travel apps. 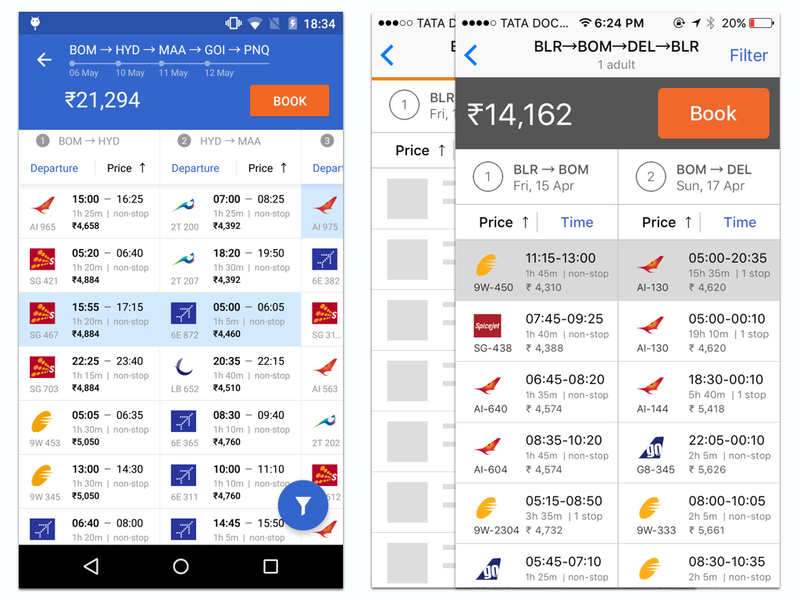 Split screen return flight bookings, Apple Watch app, 3D Touch support, Expressway and more. And we keep that tradition going with the introduction of what has been a top user request in the past few months. Here is a very small sample of the messages we have been receiving. Please start the multi-city flight booking option on the app. 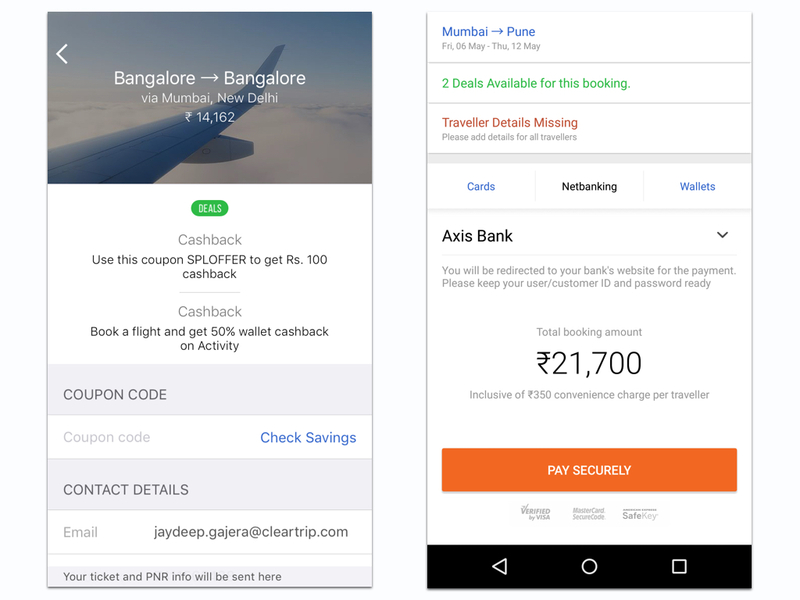 This cleartrip application is very useful for frequent traveller. You should add multicity option while buying ticket on international sectors, as it will be very helpful for buying stopover tickets. Why is the multi city selection not available for the mobile app? I keep travelling abroad and miss that option which is only on desktop. 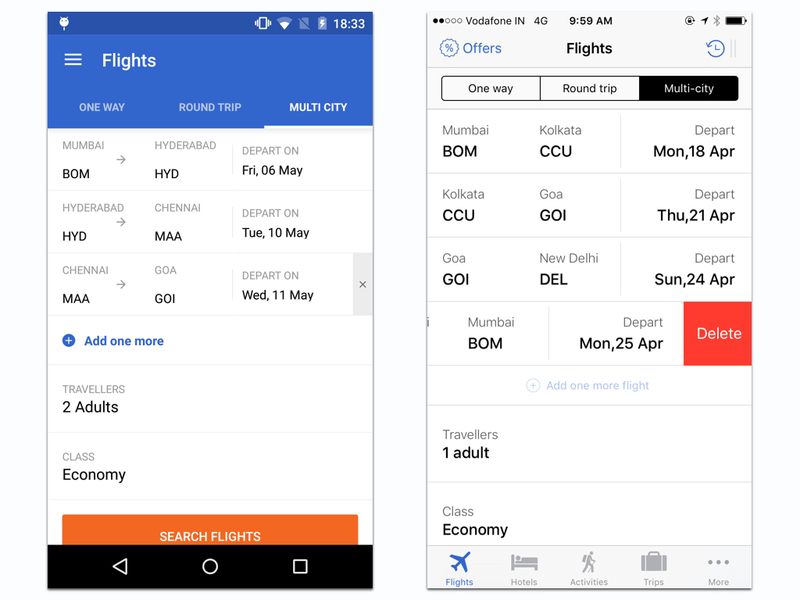 And we are proud to introduce multi-city flight bookings on mobile – the first time in India (and may be the world). Now you can book up to four flights in the same booking. All with the same split screen design that we pioneered on the desktop and mobile apps. With the increase in complexity, getting the information display correct while also reducing the likelihood of errors was a big challenge. Which is why we are also bringing a new, slicker, faster flow reducing the number of clicks required to make a booking. There’s no need to go back and forth while you are making a booking. All required information and actions are now beautifully placed on the same screen. Update the Cleartrip app to the latest version to give multi-city bookings a spin and let us know what you think. As always drop a line to mobile@cleartrip.com.